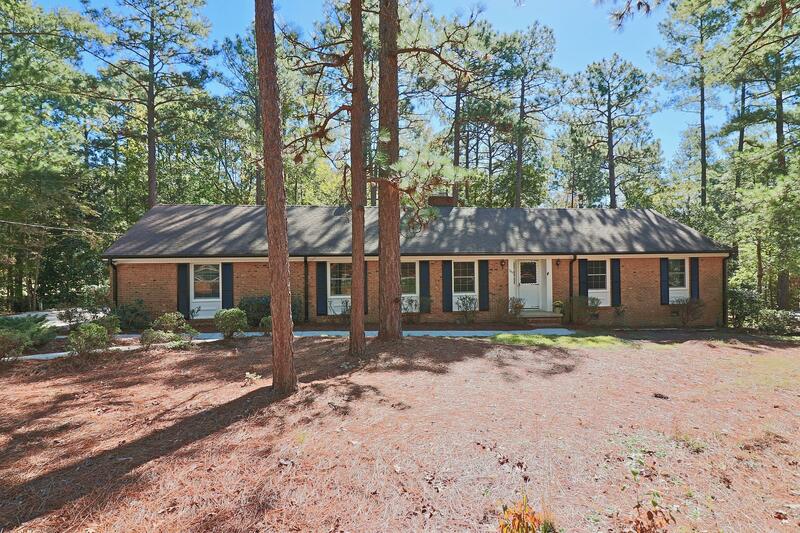 Fantastic opportunity to own an all brick ranch in a highly desirable and popular Southern Pines neighborhood! Close to downtown, next to park. All one level living includes a totally newly (2018) remodeled kitchen in with new cabinets, counter tops, tiled backsplash, new appliances, new bamboo flooring, new paint and windows throughout entire home, Spacious living room, cozy family room den with fireplace and gas logs, master bedroom with dedicated bathroom, two guest bedrooms with ample closet space. All brick exterior, new paved driveway and sidewalk. 2007 Roof, new ductwork 2017, canned lights, ceiling fans. Deck replaced in 2009.